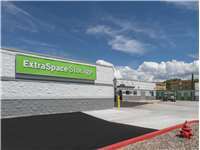 Located near the intersection of Montgomery Blvd NE and Louisiana Blvd NE, Extra Space Storage serves residents of Albuquerque. Locals will recognize our facility a few minutes south of Arroyo Del Oso Golf Course next to Monterra Apartment Homes. 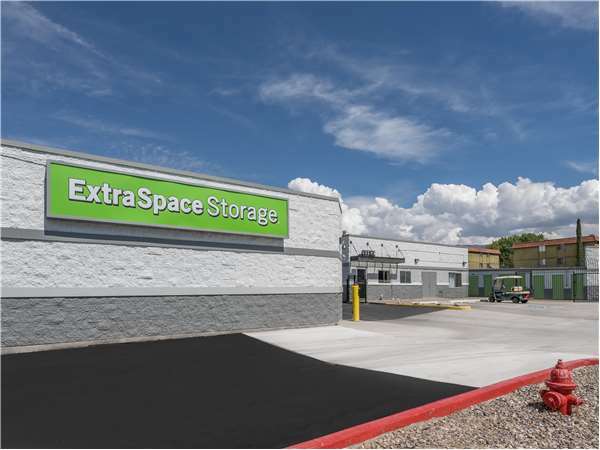 Extra Space Storage on Montgomery Blvd NE offers a variety of storage unit sizes, drive-up access, and exceptional security, making us the ideal storage partner for you in Albuquerque! 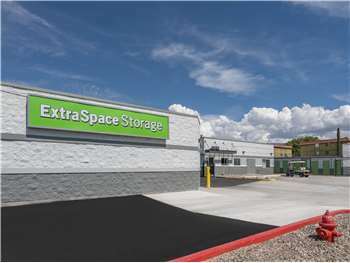 Unit sizes at our Albuquerque storage facility range from 5x5 to 20x23 with features like indoor access, first-floor access, and drive-up access. It's easy to find the solution to your needs with us! I've stored with plenty of other facilities, including other Extra Space locations, but this is by far the best I have encountered. I set up the unit online and got an excellent deal and was able to check out the unit and sign the lease later the same day. The staff is really friendly here too, so I'm really pleased with the overall experience I've had so far. Everyone at the 6917 Montgomery location is awesome!! They are very helpful and always willing and able to answer any questions! Had a car issue and they were cool about the situation. DeZonn and Wendy are very friendly and upbeat! I have rented from this location a few years previous and decided to come back, especially since they are so close to my apartment! Also, was working in my unit one day and the temperature was around 100 degrees. Of course, stupid me forgot to bring water and the wonderful girls in the office allowed us to fill up some empty water bottles we had because it was super hot. They said they didn't want us getting heat stroke and to come back if we needed more water! I love this place!!! I rented from Extra Space 3 or 4 years ago and was very pleased with the service and facilities. The move in special made it that much easier to come back and rent again. The grounds are kept very clean and well lit at night. I would recommend Extra Space to anyone who is looking to rent storage. Should the need arise in the future I will certainly come back. One other advantage of Extra Space is their locations spread throughout the city which make it so much more convenient for those trips to your particular unit. Thanks again for providing me the " Extra Space " when I needed it. The staff member with whom I dealt was very helpful. He was well groomed and respectful without being stiff or unfriendly. We discovered evidence of water on the floor of "my" unit after a recent rain. He immediately opened another one and changed my unit assignment on the spot. No fuss at all. The email reminders are very helpful and the ability to pay online is great. Was disappointed when the rates were raised not long after I rented. Guess it's just part of today's economy. Everything goes up, but salaries. Drive south on I-25. Take exit 229 to merge onto Pan American Fwy. Turn left on Jefferson St NE. Turn left on Montgomery Blvd NE. Pass Del Norte High School and turn left at Georgia St NE. Drive north on Louisiana Blvd. Pass I-40 and continue straight. Turn left on Montgomery Blvd NE. Turn right at Georgia St NE. Drive west on Montgomery Blvd. Pass Louisiana Blvd NE and turn right at Georgia St NE. Drive east on Montaño Rd. Cross I-25 and continue straight onto Montgomery Blvd NE. Pass Del Norte High School and turn left at Georgia St NE.